Joy Fera has been recognized as a very competitive master athlete in Alpine Skiing and Rowing for a considerable number of years. This past year, 2008-2009, has been no exception. When Alpine Canada announced its Canadian Masters Alpine Skiing Team, Joy was selected as a team member in the 55-59 age category. The qualification requirements are quite stringent, making her selection a remarkable achievement. The year began with her team winning a bronze medal at Whistler’s annual Peak to Valley race. In March 2008, at the FIS International Masters Alpine Races, Joy won one gold and three silver medals in Giant Slalom and Slalom at Mount Norquay in Banff. A short time later, she won four gold medals in Super G, Giant Slalom, Slalom and Combined at the Canadian Masters Alpine Ski Championships at Sun Peaks in Kamloops. 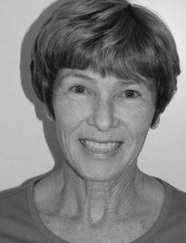 Recently, Joy won three silver medals and one bronze in this year’s Canadian Masters Alpine Ski Championships.